Cathaoirleach of Galway County Council, Cllr Peter Roche cutting the ribbon at the opening on Tuesday. of Carraroe’s new fire station took place on Tuesday . 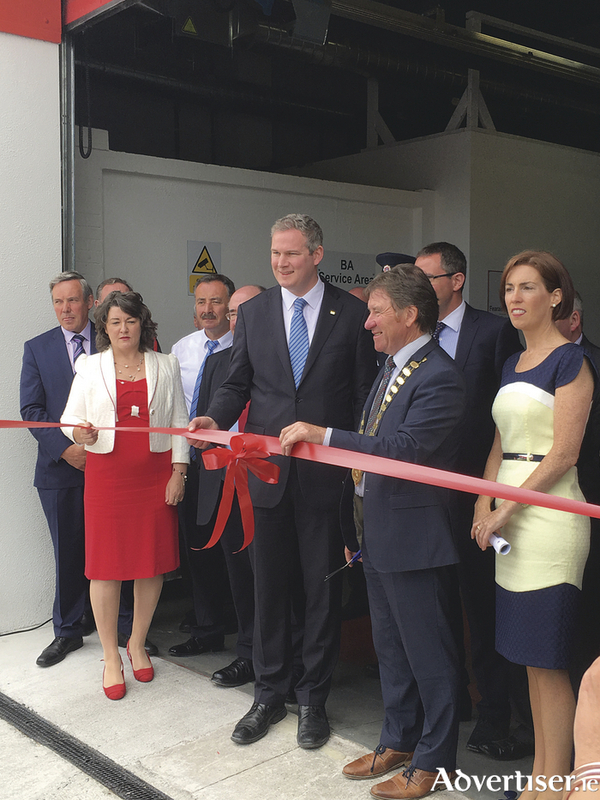 Located at the Udarás industrial estate in Carraroe, the station is operated by nine firefighters who previously accompanied Clifden and city crews on call outs before the facility opened for first time in February after a 20 year campaign. The station serves a population of 10,000 people which covers the area from Spiddal to Maam Cross as well as providing emergency services to the Aran Islands. To date the brigade have been alerted to 49 incidents. Deputy Kyne credited the local people’s efforts for bringing about the station. “There was a local campaign of many years by local people, in particular Johnny Sheamus Ó Choghnaile. When the local action group, Coiste Cearta Conamara, was formed I was more than happy to support the group in realising this vital project. Page generated in 0.1836 seconds.